French startup Klaxit connects drivers with riders so that you don’t have to take your car to work every day. 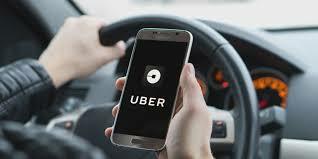 And the company recently announced a new feature with the help of Uber. If your driver cancels your ride home, Klaxit will book an Uber for you. Klaxit is a ride-sharing startup that focuses on one thing — commuting to work. And this problem is more complicated than you might think. You can’t just go to work with the same person every day because you don’t always go to work at the same time. Similarly, sometimes your driver has to leave work early, leaving you at the office with no alternative. As a driver, you want to take the quickest route to work. So you want to be matched with riders who are exactly on the way to work. Klaxit currently handles 300,000 rides per day. In particular, the company has partnered with 150 companies, including big French companies such as BNP Paribas, Veolia, Vinci and Sodexo. Klaxit can be particularly useful for companies with large office buildings outside of big cities. Promoting Klaxit instantly fosters supply and demand from and to this office. But you don’t have to work for one of those companies to use Klaxit. Local governments can also financially support Klaxit to improve traffic conditions and mobility for users who don’t have a car or a driver’s license. “Subsidizing rides on Klaxit is 8 to 10 times cheaper than building a bus line,” co-founder and CEO Julien Honnart told me. One of the biggest concerns as a rider is that you’re going to be stuck at work in the evening. Klaxit is now asking its users to request a ride with two other drivers. If they both decline your request, Klaxit will book you an Uber ride to go back home. You don’t have to pay the Uber ride and then get reimbursed, Klaxit pays Uber directly. You don’t need an Uber account either as Klaxit is using Uber for Business. MAIF is the insurance company behind this insurance feature, and also one of Klaxit’s investors. This is a neat feature to convince new users that they can trust Klaxit. Klaxit competes with other French startups on this market, such as Karos and BlaBlaCar’s BlaBlaLines.